From influencer marketing, visual communications and PR measurement to reputation management, crisis communications and data leaks, the Global PR Summit Belgrade will cover the trends that you need to be aware of so that you don’t become a dinosaur in your own lifetime as a communications and PR professional. 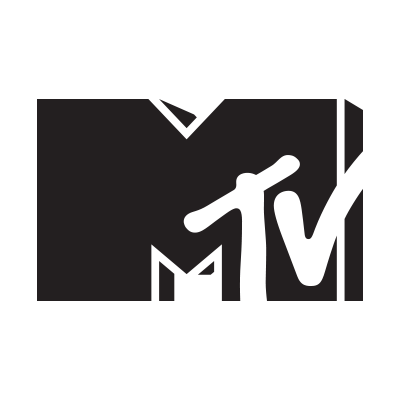 From reputation management, data leaks to influencer PR and visual communications, the event will cover the most important trends in today's fast changing PR world. What Makes For The Best Client/Agency Relationship? 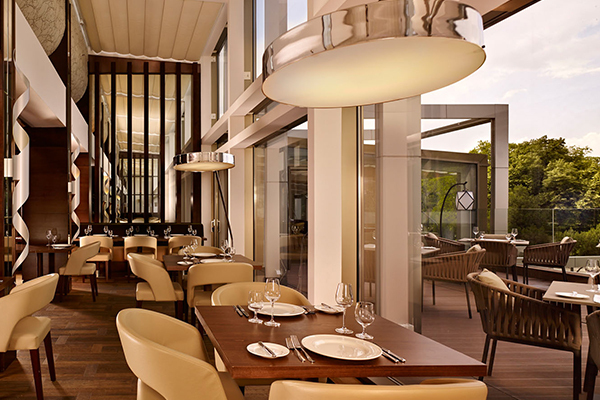 Capture magical moments and explore Belgrade, one of Europe’s most vibrant cities, from the distinctly cosmopolitan Metropol Palace. 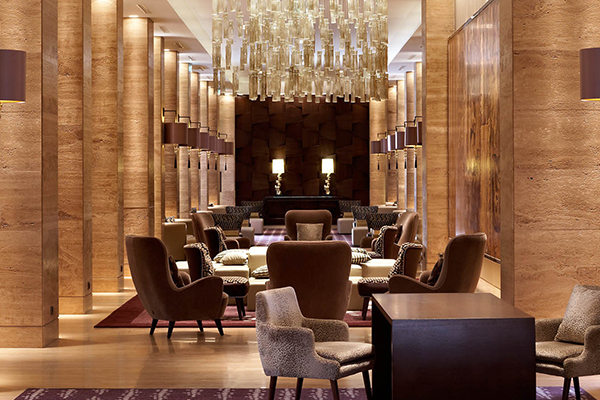 Originally designed as the venue for a global conference in 1961, the hotel today blends the era’s international architectural and interior style with contemporary luxury. 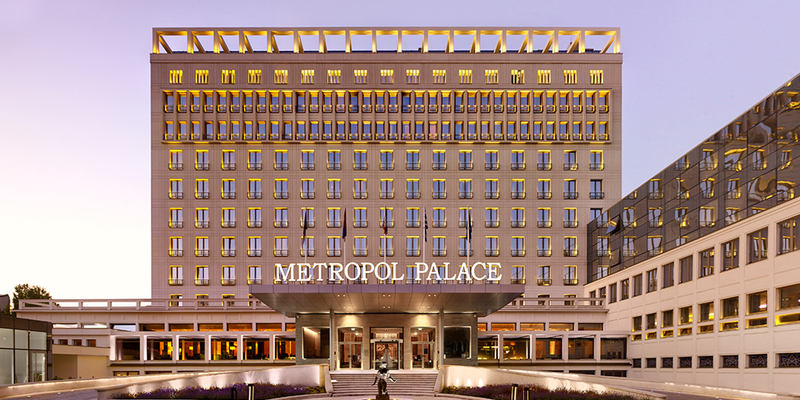 Metropol Palace’s truly magnificent central setting next to the grand Tašmajdan park invites you to explore Belgrade's many monuments, palaces, theatres and museums rich with indigenous and international cultural gems, all within a short stroll from the hotel. Since May 2015, Jacky Zhao is Huawei Device Director of Balkan Region. In that role he oversees and drives Huawei consumer business across offices in Serbia, Slovenia, Croatia, Bosnia and Herzegovina, Montenegro and Albania. Jacky leads Huawei device business strategy and is also responsible for establishing new strategic alliances, partner relationships, and overseeing development of new technology for Huawei consumer business group. 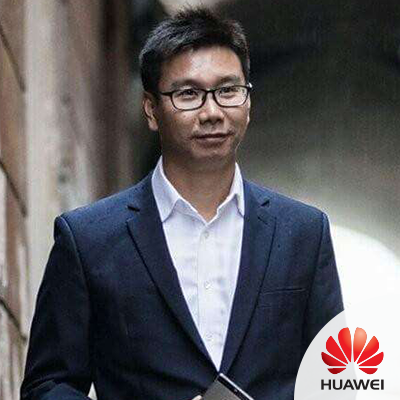 Prior to that, Jacky was Head of Devices for Huawei New Zealand, where during 5 years he was responsible for executing Huawei global strategies, ensuring a positive experience and brand image for customers, partners and consumers. Before joining Huawei in 2008 as product manager, Jacky spent 2 years as sales manager at EPCOS, where he have lead sales operation in very challengeable and competitive market, for one of the world’s leading supplier of electronic components, modules and system. 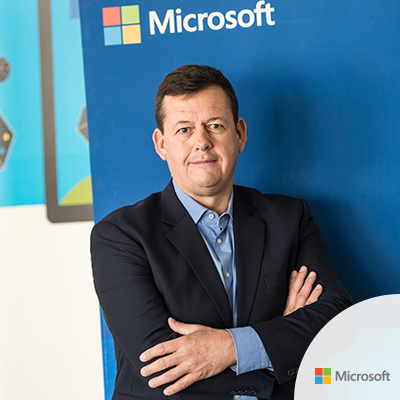 Since July 1, 2015, Michael Kogeler is General Manager of the CEE Multicountry Europe region at Microsoft. In that role, he oversees and drives the company’s operations in 15 of the fastest growing countries in Central and Eastern Europe. Prior to that, Michael was General Manager, Marketing & Operations (M&O) for Microsoft in the Middle-East and Africa region (MEA), where during four years he was responsible for executing Microsoft’s global strategies across the local MEA countries, ensuring a positive experience for customers, partners and Consumers. During his 12 years’ tenure at Microsoft, Michael held various senior leadership roles and drove the company’s strategy, marketing and operations, both internationally, and on a local and regional level. Prior to joining Microsoft in 2003, Michael spent more than 10 years in Management and IT consulting with companies such as McKinsey & Company, KPMG Management Consulting, Lotus, IBM Consulting, and EDS Consulting. Živorad Vasić finished high school and faculty in Boston, USA. At Boston University he got two degrees: in Hotel Management and Finances. During his studies he lived in Boston and then worked in eight cities and 11 hotels throughout America. In 2005 in Denver (Colorado) he participated in the opening one of the largest hotels. He obtained professional experience gradually, from CMT program, through long-lasting training in various hotel sectors, working as the night manager at the reception, the head of the household, assistant room manager and room manager. After 17 years in the USA he returned to Serbia and began working in the Continental Hotel Belgrade, where he wanted to introduce the business principles he had learned abroad to the hotel staff. He thinks that the hotel manager has triple obligations: to the hotel owner, guests and employees. When harmony is achieved and everything functions well, results are obvious. 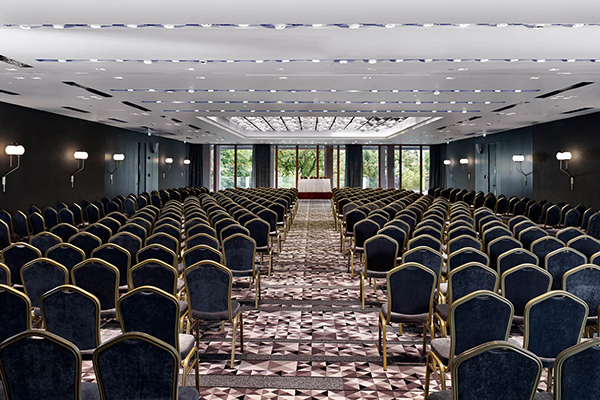 He was the head of the team in charge of opening new Crowne Plaza Belgrade which belongs to the largest world hotel group InterContinental Hotels Group. He has been running the hotel successfully ever since its opening and he is the winner of the Manager of the Year Award granted by the SerbianManagerAssociation and Hotel Manager of the Year Award in Serbia. Since 2011 he has been a member of Delta Holding Board of Directors. Since October 2015 he has also been in charge of InterContinental Ljubljana project on behalf of InterContinental Hotels Group. 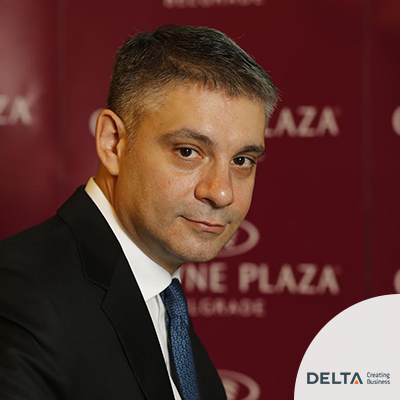 As from the year 2016, he is the Vice President of DeltaHolding. Živorad is 40, married and has one son. 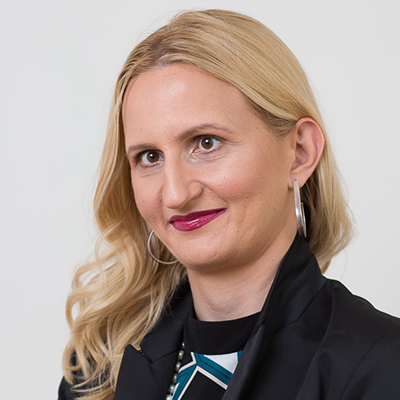 Ljiljana’s career includes 15 years of multi-industry experience in communication, crisis management and agency management, 8 parallel years as a University Lecturer and 8 years in journalism. 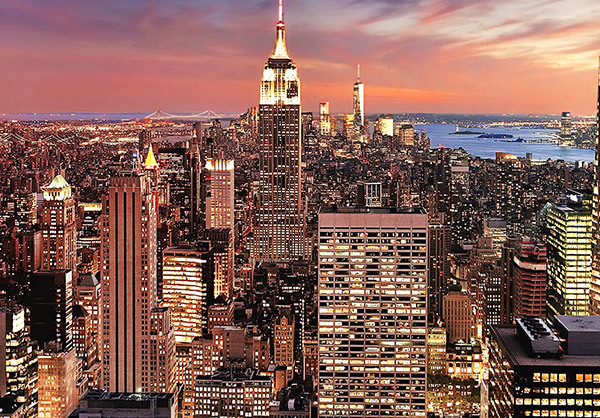 Specialized in a crisis management, C-Suite strategic consulting, corporate and public affairs. 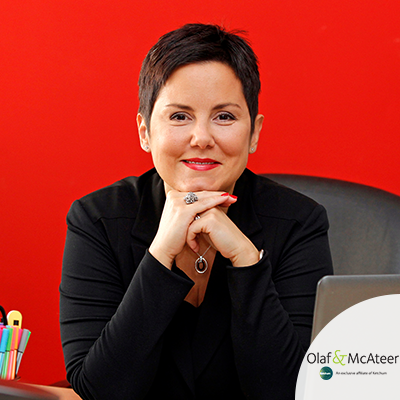 Ljiljana is proud to lead the team of 20 passionate, result oriented and creative professionals at the one of the best Serbian integrated communication agencies, Olaf&McAteer, Ketchum exclusive affiliate in Serbia. Igor Ćutuk holds a master's degree in journalism and public relations. 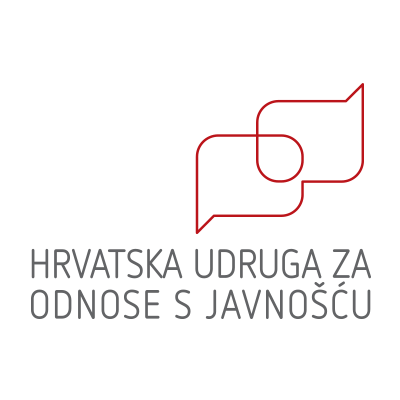 In addition to a successful career as a radio journalist and foreign correspondent, his actions as well as his scientific and professional work are aimed at raising the level of business communication in Croatia. 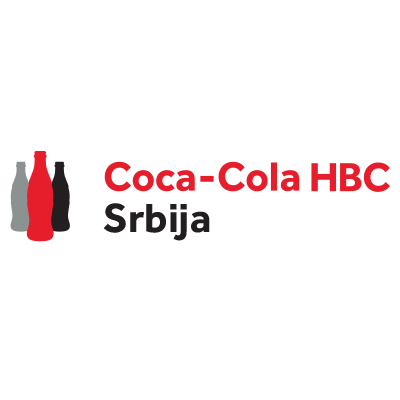 Over the years, he has gained extensive experience in communications and public relations, mainly at Coca-Cola HBC Croatia, where he worked from 2008 to 2015. During this time he realized several internationally acknowledged and awarded projects such as Our Beautiful Sava, Bike to Work, The Language Manual of Coca-Cola HBC Croatia and many others. Since July 2015 he is Head of Communications and the spokesperson of Croatian Radiotelevision. 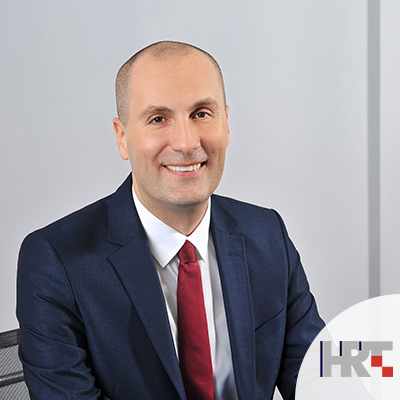 He is a member of the Management Board of the Croatian Public Relations Association (CPRA) and a lecturer in business communication at the University Department for Croatian Studies of the University of Zagreb. He is currently enrolled in a PhD program in information and communication sciences at the Faculty of Humanities and Social Sciences of the University of Zagreb. 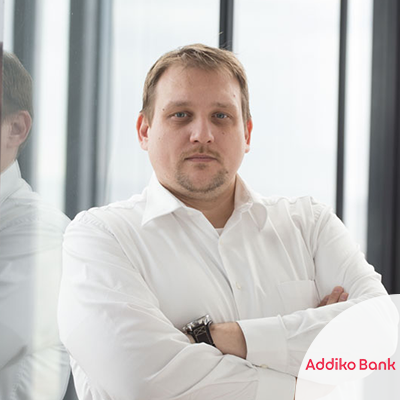 Vedran is responsible for corporate communications of Addiko Bank a.d. Beograd, including external and internal communication, strategic planning, media relations, CSR platform, as well as online content preparation and production. He is a communication expert specialized in crisis communication and reputation management and has more than 15 years of work experience in the media, PR agencies and corporate sector. He has been in communications and PR business for over 14 years. He started his career as journalist of the Danas daily and entered the PR world with Slovenian Pristop agency, working on major projects for international clients. For over ten years, he was special PR advisor to several ministers of the Government of Serbia (Ministries of Finance, Economy, European Integrations, Youth and Sport). 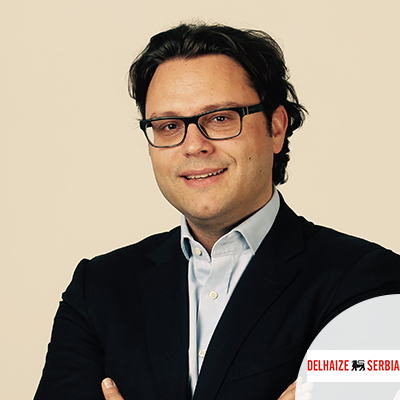 He established and managed corporate communications in Adria Media Group and has been in charge of PR in international retail chain Delhaize Serbia (Ahold Delhaize) in the past year. 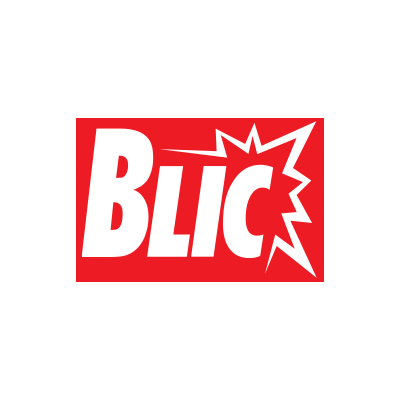 Jelena Šarenac has more than 20 years in communication and marketing. She gained valuable experience in marketing and communication working for Mercedes-Benz Company, DaimlerChrysler and for Coca-Cola brands as planning director in a marketing agency. 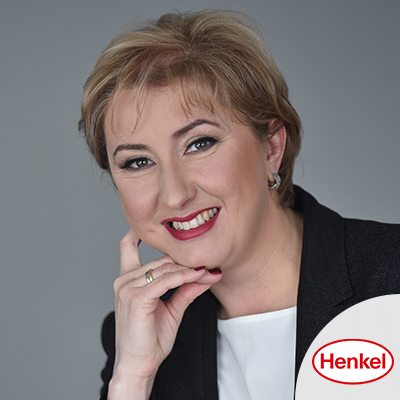 During last ten years she has been working for Henkel Serbia, in charge for internal and external communications, public affairs and brand communications in Serbia, Slovenia, Croatia, Bosnia and Hercegovina. Jelena is President of the Serbian society for public relations (DSOJ), active member of the Serbian Association of Managers (SAM), American Chamber of Commerce in Belgrade (AmCham) and European Association of Communication Directors (EACD). She was jury member for the DSOJ award PRiznanje (2012-2014), jury member for ICCO Awards 2016 and jury member for „Effie Awards Serbia 2017“. She was awarded with the prestigious PRO.PR award in 2016, for achievements in communications managements in the region. During her career she took a number of professional courses in the field of communications, marketing, leadership and planning, some of them at “IEDC - Bled school of management” and “Cranfield university – school of management”. She lived in Germany, Russia and UK, fluent in German, French, Russian and English. Basic knowledge of Italian. Andreas is responsible for running the Dubai operation and overseeing Weber Shandwick MENA’s portfolio of international and local clients. 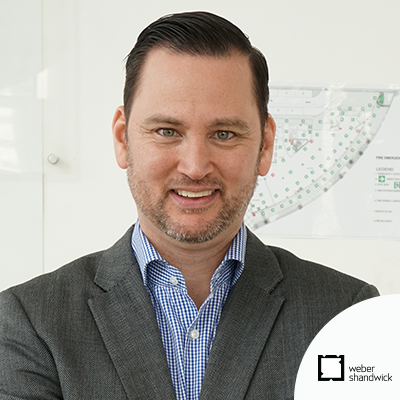 Andreas was previously the agency’s Regional PR Director across the region, where he was responsible for working with Weber Shandwick’s international network on implementing best practice and delivering successful multi-market client programs and activities. Andreas is an international PR expert with experience in global programme management, new product/business development, sales and promotions, corporate sponsorships, reputation management and internal communications. 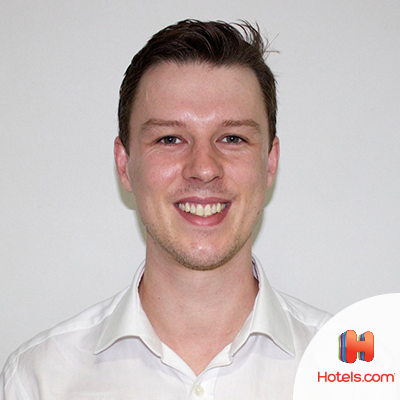 Andreas started his career with Weber Shandwick in Geneva and moved to Dubai in 2007. 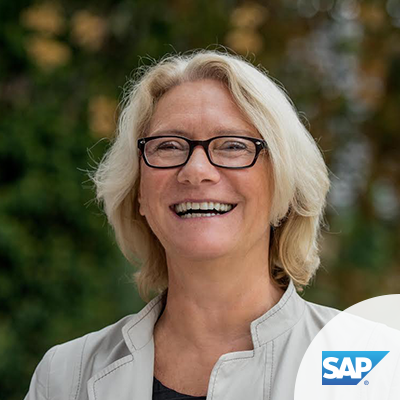 Judith Magyar, Strategic Communications Director, is responsible for developing and implementing communications programs to support leadership development at SAP. Previously, she managed integrated communications for various SAP leaders including Executive Board members and regional presidents. An American based at the company’s headquarters in Walldorf, Germany, Judith grew up in Brazil and frequently visits family in Budapest. Judith blogs on a variety of topics such as connected cars, smart cities, and strategic communications. Considered to be one of Europe's biggest authority on PR measurement, Andre is a senior communications leader and trusted C-suite advisor with 20+ years broad, international experience, including Royal Philips and Booking.com. 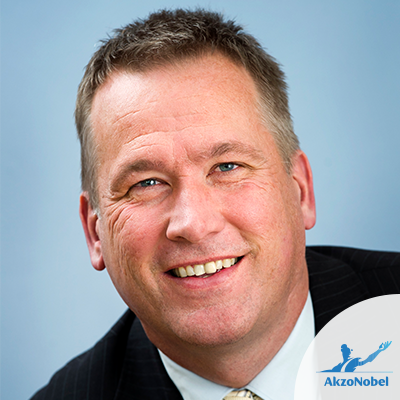 He currently leads the communications efforts at Akzo Nobel. His specialties include: integrated 3.0 communications, reputation management and thought leadership counsel and (inter) national media relations. 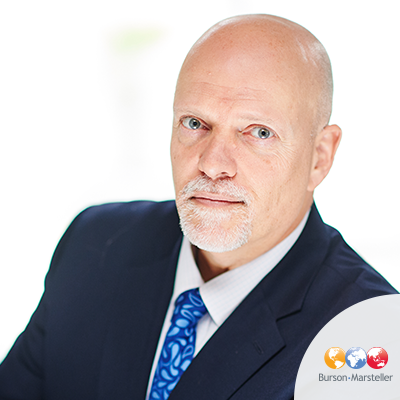 Dennis Landsbert-Noon, is a Managing Director for Burson-Marsteller Europe, Middle East and Africa and Chairman of the EMEA Media and Sports Practices. In his work as Chairman of the Sports Practice, Dennis has advised and worked with a wide variety of international clients including a number of Olympic bids (Istanbul 2020, Baku 2020 and Doha 2016), Special Olympics International, the Qatar 2022 World Cup Bid, as well as a number of international sports federations including the International Cycling Union (UCI), International Boxing Association (AIBA) and International Basketball Federation (FIBA). 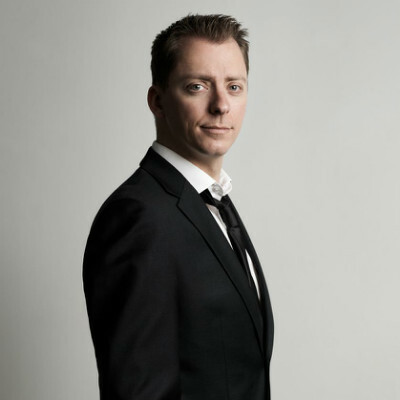 As head of the EMEA Media Practice, Dennis led the agency's work for the Dubai 2020 World Expo Bid and wrote the communication chapter of the bid's Dossier. He currently leads the agency’s communications work for the Astana 2017 Expo. He has also advised the governments of Poland and Lithuania on media and communication prior to and during their Presidencies of the European Union. Dennis has also provided senior counsel for a number of blue-chip commercial clients and industry sectors including Fedex, GSK, Bayer, Total, the Skolkovo Foundation in Russia, the Nickel Institute, the bromine industry, the European solvents association, the European cosmetics association, and the European chemical industry association. Dennis is also a senior trainer for Burson-Marsteller clients for media interview techniques, messaging development, crisis management, and presentation/speeches. Dennis spent 20 years working in media and was appointed Publisher of European Voice in 2000, having joined The Economist Group in 1995 to launch the EU affairs newspaper in Brussels. During his tenure as Publisher, he also created and launched the prestigious ‘Europeans of the Year’ annual awards. Dennis started his career in journalism in 1987 and in subsequent years worked as a writer and editor for a number of UK national newspapers, including The Sunday Times, The Observer, The Daily Mail and The Evening Standard. Before joining The Economist Group, he was part of the newsdesk team at The Independent newspaper in London. Dennis graduated from the University of Exeter in the UK in 1984, with an honours degree in Geology and Geography. Before becoming a journalist, he spent three years working as an exploration geologist for the British Geological Society. Dennis is British and speaks English, Dutch and French. Away from the office, Dennis is an actor and theatre director, as well as a performing musician. He also holds a black belt in taekwondo. 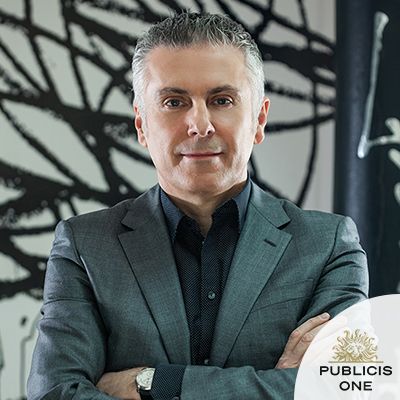 As of March 15, 2016, Misa Lukic has been tasked to lead Central Eastern Europe as regional Chief Executive Officer of Publicis One. Publicis One is a global communications enterprise that brings together Publicis Groupe’s agency capabilities and expertise under one roof. 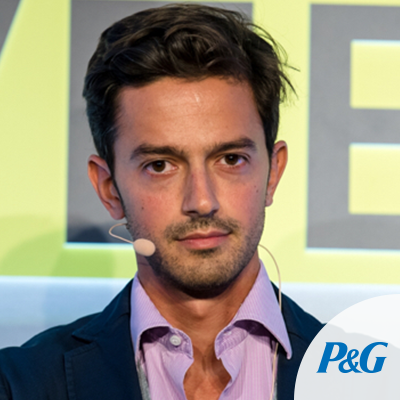 Over the course of Misa’s career which includes 23 years in top management positions, he has successfully led five marketing communications agencies in Eastern Europe and Middle East. As one of the most prominent leaders in the marketing communications industry in Serbia and South East Europe, he was the CEO for the Balkan region for two agency networks - Saatchi & Saatchi (from 1997 to 1999) and Leo Burnett (from 2000- 2010). Misa was also instrumental in Leo Burnett’s success in Serbia - 7 years of consecutive growth. As a result of his leadership, the agencies he led have been awarded at leading creative festivals around the world including Cresta, Eurobest, EACA, Cannes Lions, EPICA Moscow RedApple, Golden Drum (The Best agency in the Adriatic Region). Misa is also the youngest laureate Life Achievement Award (UEPS) recipient; the winner of Marketing Person of the Year Serbia 2010 (World of Marketing); Leader in Creative Thinking in Serbia 2013; Top 100 most successful Managers in Serbia (2009) and Top 100 Business Leaders of South-East Europe - Summit 100 (2011/2014). Serbian national with over 15 years of executive communications and senior talent management experience. Seasoned public affairs and public relations professional with extensive international and multi-industry experience in C-Suite communications and talent management counsel with specific focus on aviation and defense in emerging markets. Specialized in government relations, executive corporate communication, crisis management and corporate reputation management programs. Worked in Southeast Europe, Russia, Middle East, Turkey and Africa. Most recently managed Grayling's expansion across the META region as it’s Deputy CEO. 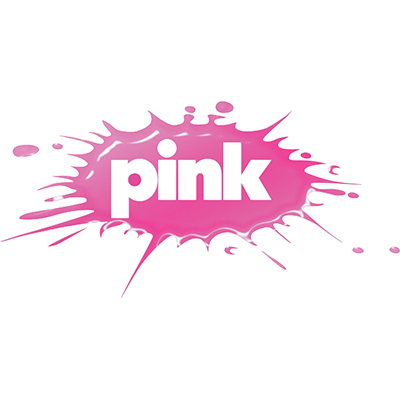 Developed three startup operations into market leading integrated comms consultancies. In September 2016 set up Altitude Strategies, corporate and public affairs consultancy operating in the U.S. and in emerging markets focused on aviation, aerospace, defense and related industries. Fluent in four global languages - English, Arabic, Russian and Spanish. Residing in the Middle East since 2011. Married and a mother of a boy.